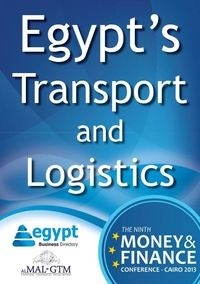 All that was said about investing in Egypt's logistics and transport at the Money and Finance Conference 2013 – download the free report here. One of the panels was all about the opportunities available in the transport and third party logistics sector in Egypt. The panel highlighted Egypt’s potential as one of the world’s largest logistics hubs through the development and proper utilization of the Suez Canal corridor and Port Said. Download the report to learn more about the plans to develop Egypt's most important ports and the hidden potential behind them.